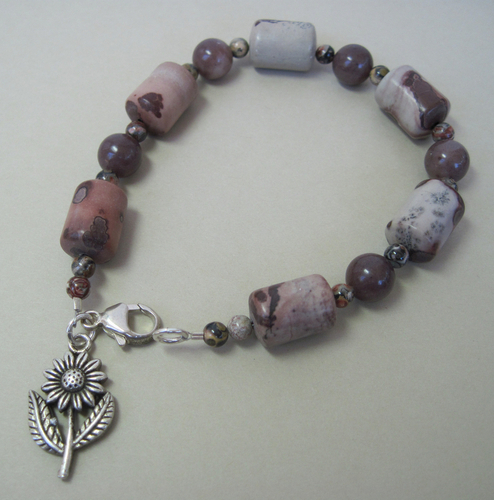 The bracelet is made with picture jasper and purple aventurine beads. It also has small unakite beads and a sterling silver flower charm. It is about 8" long and has a sterling silver lobster clasp. 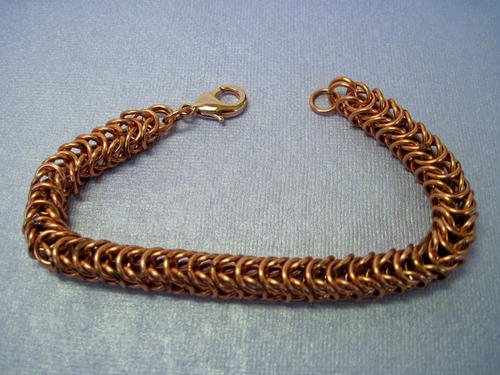 The bracelet is made with copper wire in the box chain pattern. 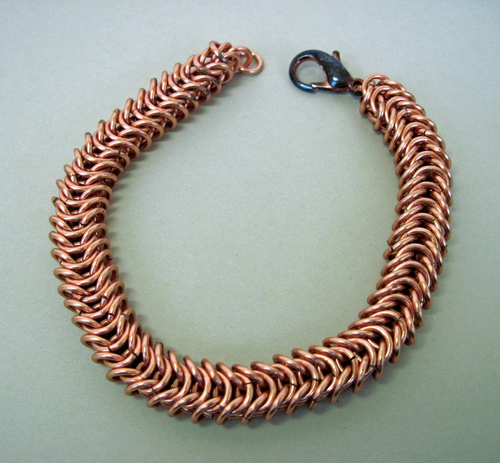 It is about 8.75" long and has a copper lobster clasp. 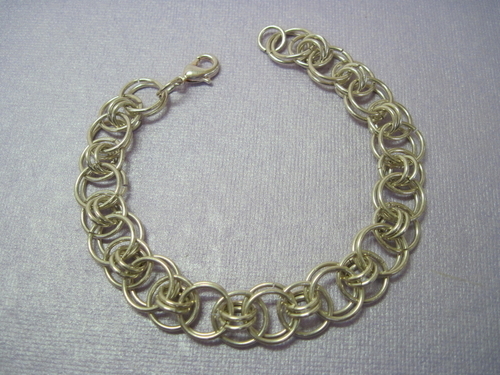 The bracelet is sterling silver chain maille in the Helm pattern. It is about 7.5" long and has a sterling silver lobster clasp. 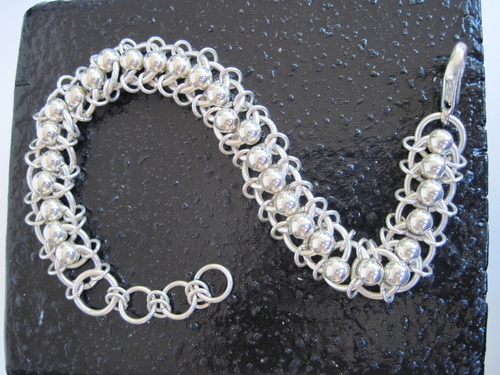 This bracelet is sterling silver. 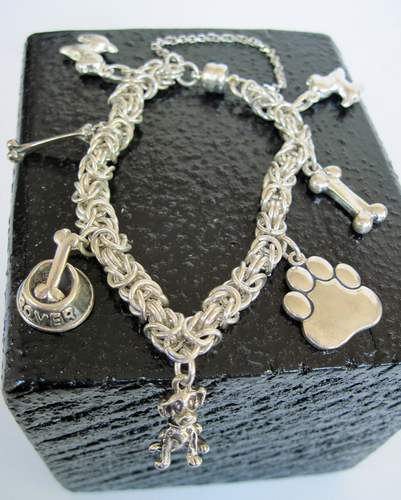 It has seven cute charms hanging on a hand-woven Byzantine chain maille bracelet. It is about 8" long and has a magnetic clasp with a sterling silver guard chain. 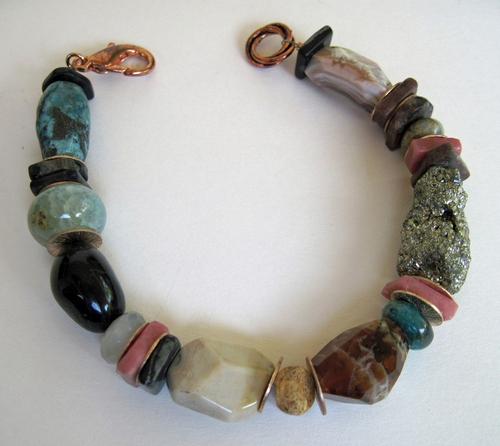 This unique bracelet includes turquoise, amethyst, jasper, brandy opal, pyrite, and Botswana agate as featured stones. It is about 8.5" long and has a copper lobster clasp.